Home accessories play a vital role in home décor. One of the most important home accessory these days is cushion covers. Irrespective of the theme that you adopt for your home décor, the cushion covers do play a significant role in completing the look. Cushion covers help in protecting your couch cushions as well as throw pillows from getting dirty. They indeed provide a new and refurbished look to the décor of your home. These days, vintage is coming back in fashion and a lot of people opt for vintage cushion covers over anything else. Can a vintage cushion cover fit in a modern theme? Definitely! These days, you can easily find vintage cushion covers in a variety of shapes, designs and sizes. With such a vivid choice in the market, it may get difficult to find the right type of cushion cover to complement the décor theme of your home. However, with a clear set of guidelines, finding a cushion cover for your home will be easier than ever before! Firstly, you need to figure out what size of cushion covers will best suit your home décor theme. This is indeed common sense that if you have a huge throw pillow or cushion you’ll naturally not need a small cover. However, the easiest way to figure out the size is by measuring the size of your pillow. Nobody would want to buy a cushion cover that doesn’t fit properly so it is best to buy a cover that is as close as possible to the size of the cushion you have. In case, you are unable to find a vintage cushion cover of the size of your cushion, you can get it custom designed or sew one yourself. Next, you need to decide on the material of the cushion cover that will complement your home décor theme. Some of the most prominent fabrics in the cushion covers these days include silk, cotton blend or polyester, cotton, velvet and jute. To get the vintage look with a modern touch jute and cotton can be an excellent choice for the contemporary home décor themes. For a luxurious bedroom or living room look, you can opt for silk or patch work cushion covers. However, cotton blends work with just about every home décor theme. Fourthly, it is important for you to decide on the design and color of the cushion covers before buying it. When you have done an old country home décor, then avoid the use of black, red or bold stripped cushion covers. On the other hand, if you have set up your home in a contemporary manner, then bold black and red stripped cushion covers can work but you must still avoid the vintage covers with fringes. It is important for you to look at the current décor in the theme and then buy cushion covers that coordinate the décor. 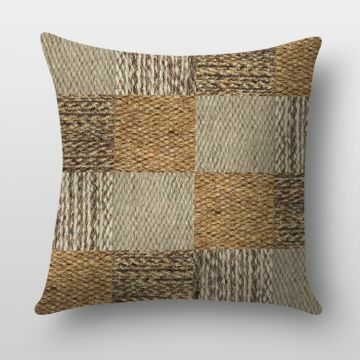 To complement every theme, you can find cushion covers on Makevana.com.